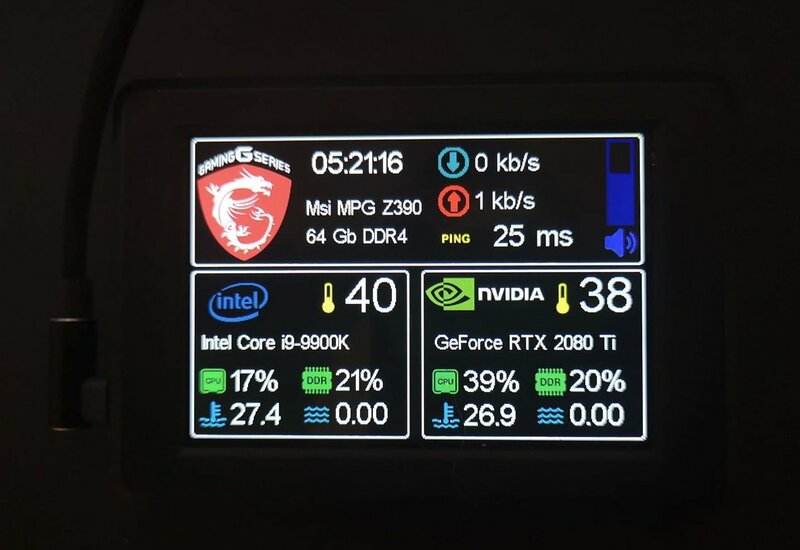 I ordered my goverlay screen and i'm happy of this, it work like a charm, but I would like to monitor custom sensors. I would need any advice to make the work easier, I posted in plugins sections, as I guess I must write a plugin for that. Application is to display water temperature, and flow value on a dual-loop watercooled computer. To be short the 4 customs sensors (2 temp and 2 waterflow) will be plugged to an arduino and communication with PC will be done using the COM port. For this I'm currently working on an arduino sketch, I'm currently able to display water temperature, and I'm working to read correctly water flow sensor. All I need would be to create a basic application on the PC that will query the arduino and provide data to the goverlay plugin. But which method could I use ? Storing values in a file ? hwinfo plugin (I checked very quickly) seems to use a MemoryMappedFile (I don't know that), is it the good way of doing it ? any alternate way ? Last edited by ogaland on Sun Apr 21, 2019 4:29 am, edited 1 time in total. Replying to myself after some work on that dev. Looks like I missed the easy solution : do the COM connection inside the plugin. After reading plugin doc and checking a few example, it seems to work well. I can display the data gathered by the arduino on goverlay. I will probably publish the result once I have sorted and cleaned my mess, I don't know if many people would have the same need. Yes, you can make a plugin and connect directly to the com port, that should work. Other alternative is to make a separate windows application that would write to a .INI file and use goverlay to load the data from the file, but you would need this additional app to be running along with GOverlay, its better to use a plugin if you can make one. If you will make it and pubish it, let me know if you get stuck with anything and i can give you a hand. Thanks for your answer, I also saw you did the work on the HWInfo plugin, congrats as I use it to display my computer sensor (OpenHM unfortunately don't detect them) and I took lots of inspiration from it to write my plugin. I'm partially satisfied with the result, the plugin option allow to choose COM port/speed/timeout, there is also an option to select refresh rate for the query/request on COM port (I was not sure It would handle 1 trx/sec). My main questions are about how to deals with all the possible use case regarding the COM connection (cannot open at start, com connection temporarly loss during session, change plugins options) and as I never developped under VBnet I have no expertise on the possible solution.